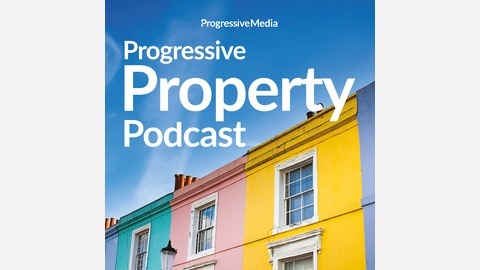 The Progressive Property Podcast helps you make smarter property & real estate investments, for leveraged property success & financial freedom, even with little or no money down. Whether you're a buy & hold investor, flipper, deal packager, multi-letter, want to get started, scale up, systemise or create multiple streams of property income, the Progressive Property Podcast will save you time & mistakes & help grow your knowledge, skills, & confidence. No fluff or filler, no ads and deep-dive real life information from real-deal investors who have some of the UKs largest portfolios. Interviews with millionaires, billionaires & successful real life Progressive Property community members will help you build your income generating portfolio in less time. Invest for freedom, choice & profit. Have you already got your hands on the 10X Property Super Conference tickets? You better be! 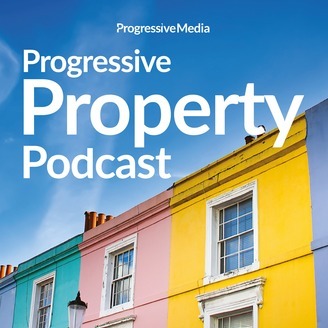 This episode of the Progressive Property Podcast might convince you to stop doubting about going and finally decide to go the biggest property network event of the year. Today, Kevin interviews Grant Cardone, the Founder of Cardone Capital and the best-selling author of ‘The 10X Rule’. This shall give you a good sneak peek on what the 10X Property Super Conference shall offer since Grant will be a Key Speaker for the said event and will be sharing more of his experience, tips, strategies, and resources on the event itself. Grant advises that you – with your positive mindset, vibrant energy, and exciting ideas – be ready on meeting new people that could help you and also collaborate with, in your property journey. Discover more about Grant when you tune in! Why is property a major part of Grant’s business? According to Grant, for people who want to grow their wealth, property investment is the most straightforward, least complicated and most conservative way. You don’t have to graduate with flying colors or join elite groups to be the best real estate agent. You just have to equip yourself with the knowledge, skills and the best judgment in choosing your properties. What makes Grant different from other real estate agents? He sees so much possibilities with real estate at this point in time. Make sure that it provides income that services the debt and operations. Do your homework – research so there is always certainty. Buy the best piece of land and you’re going to be fine. If you don’t network with the right people and wait until the crash to move, then you’ll never get great deals. Grant’s advice to those who are just starting in real estate. Network during the 10X Property Super Conference. Start studying the key speakers so you know the right questions to ask. Don’t buy on a budget. Grant recalls the first deal he ever made where he relied only on how much money he got that time. It was a bad decision which has put him in the bad spot. He wished he knew that lower cash flow in better locations appreciate when things blow up. What’s the most important skill for Grant? Be persistent and keep going. If you got knock down, get back up. Study the rich people, the financial institutions, and the insurance companies. Where do they buy? Grant Cardone is a multimillionaire entrepreneur whose personal property empire is valued at over $900 million. He is also the Founder of Cardone Capital and the author of the best selling book, The 10X Rule. Kevin McDonnell is a Speaker, Author, Mentor & Professional Property Investor. He is an expert when it comes to creative property investment strategies. His book No Money Down: Property Invest talks about how to control and cash flow other people’s property to create financial freedom. Alfie Best: Interview With £350m Property Empire Owner! Get Educated! Or Pay For it!